The hill was formerly the site of a fort which was later used as a prison. 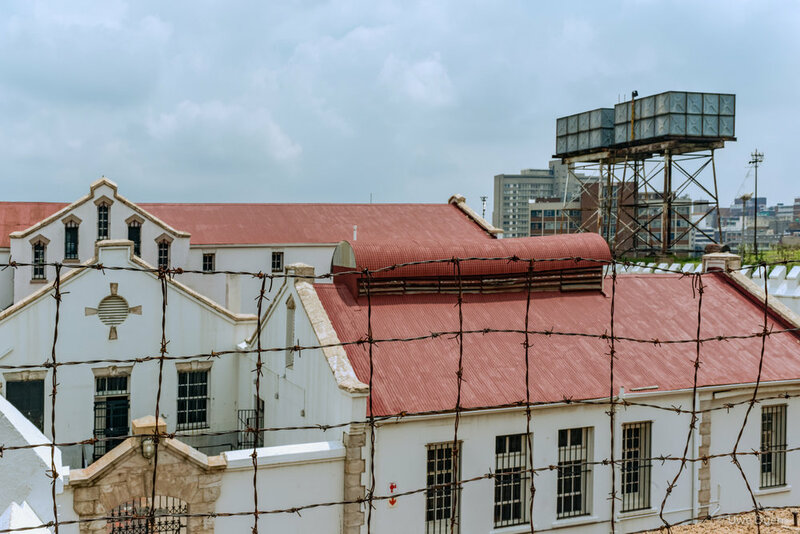 The Old Fort Prison complex is known as Number Four. 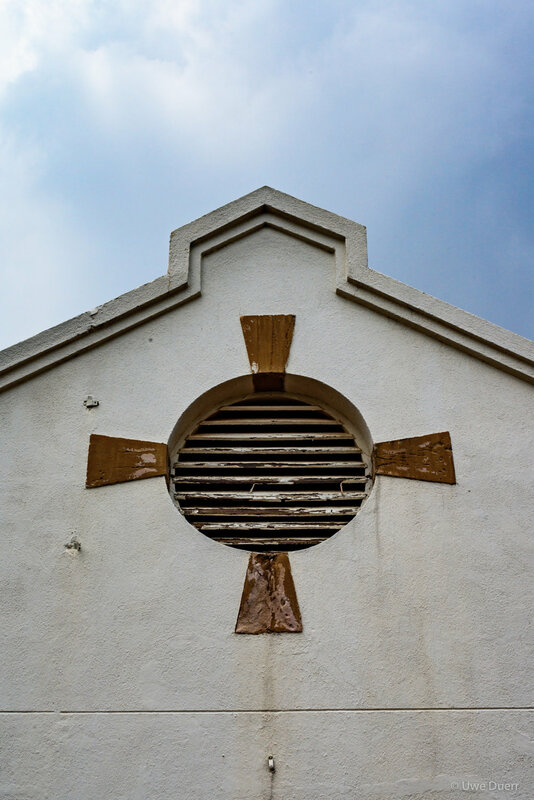 The original prison was built to house white male prisoners in 1892. 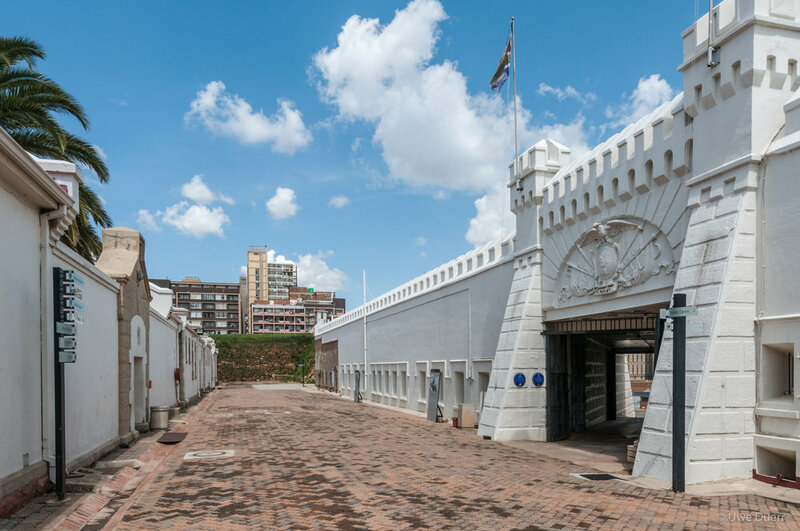 The Old Fort was built around this prison by Paul Kruger from 1896 to 1899 to protect the South African Republic from the threat of British invasion. Later, Boer military leaders of the Anglo-Boer War were imprisoned here by the British. 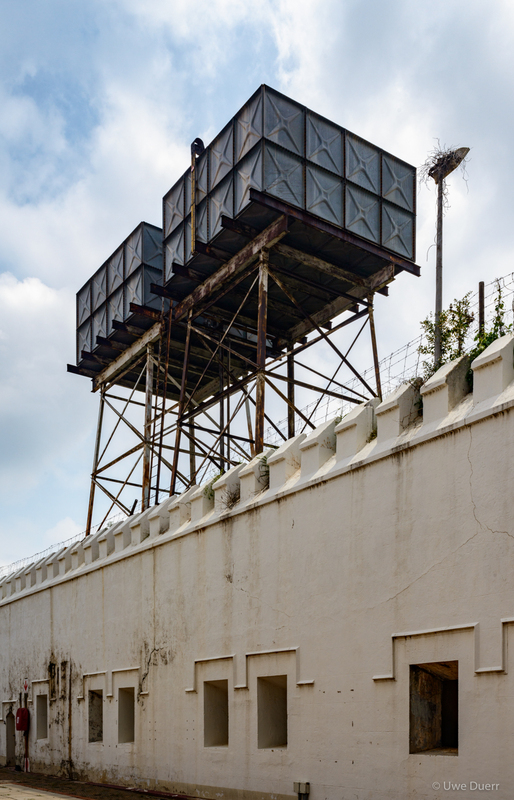 The Old Fort prison was later extended to include "native" cells, called Section 4 and Section 5, and, in 1907, a women's section was added. An awaiting-trial block was constructed in the 1920s. 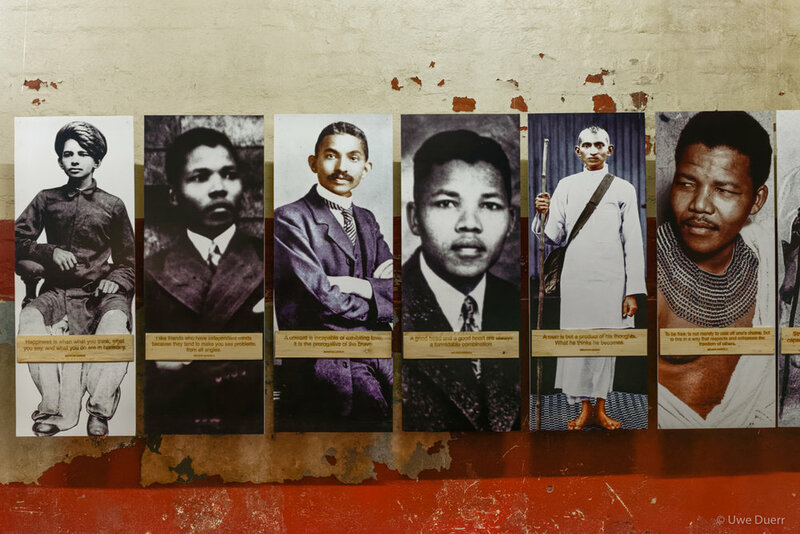 Both political activists opposed to apartheid and common criminals were held at the prison. Mahatma Gandhiwas imprisoned here in 1906, and striking white mineworkers in 1907, 1913 and 1922. Orientation Map of the Constitution Hill. 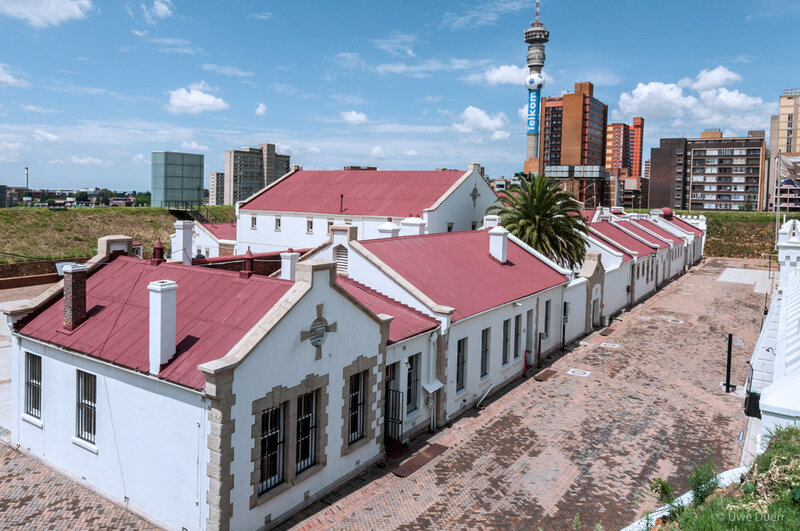 Constitution Square, Constitution Hills, Johannesburg. 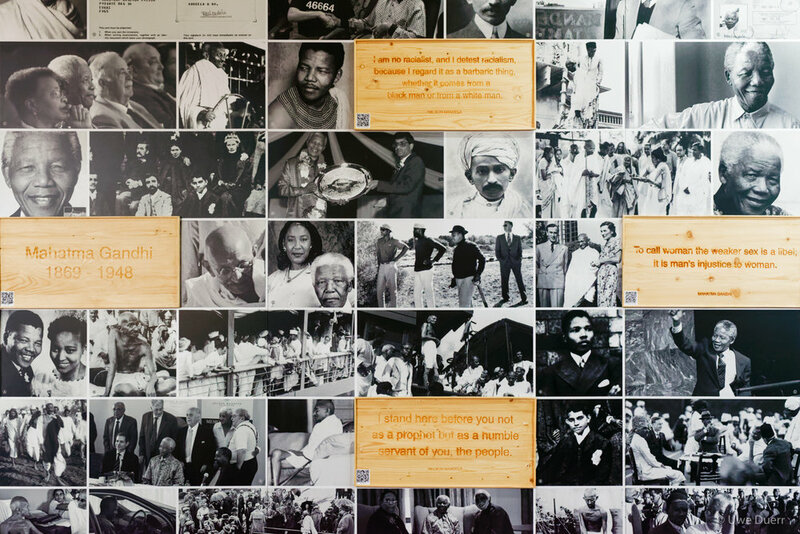 Entrance to Vistor Centre, Constitution Hills, Johannesburg. Number 4/5, Constitution Hills, Johannesburg. 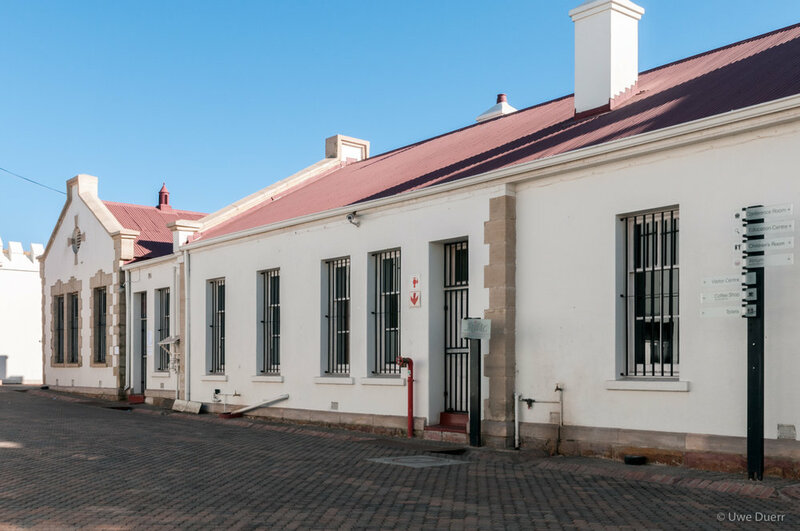 Entrance to the Women´s Jail from Kotze Street. 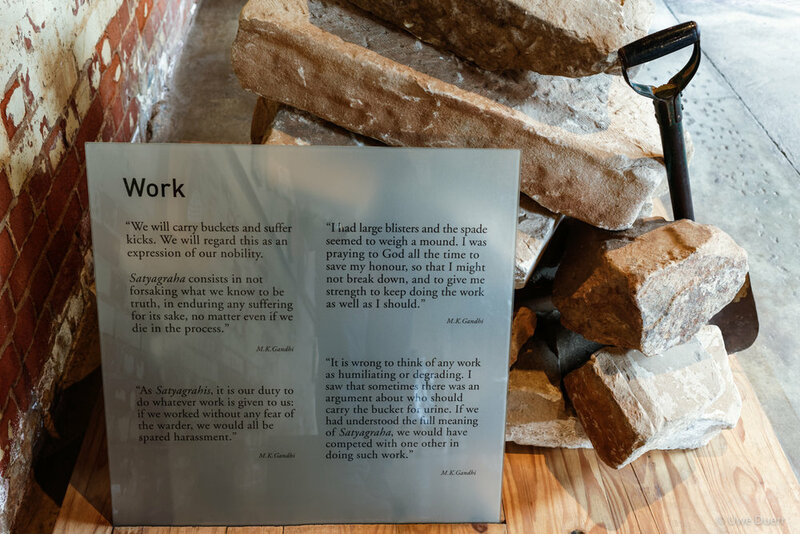 Constitution Hill - Women Gaol, Museum, Johannesburg, South Africa. This large cell held up to seventy sentenced black prisons who slept under filthy, lice-infested blankets on thin grass mats. There were showers and toilets at the back of the cell and it was usually overcrowded and stinking. This large cell held up to seventy prisoners. 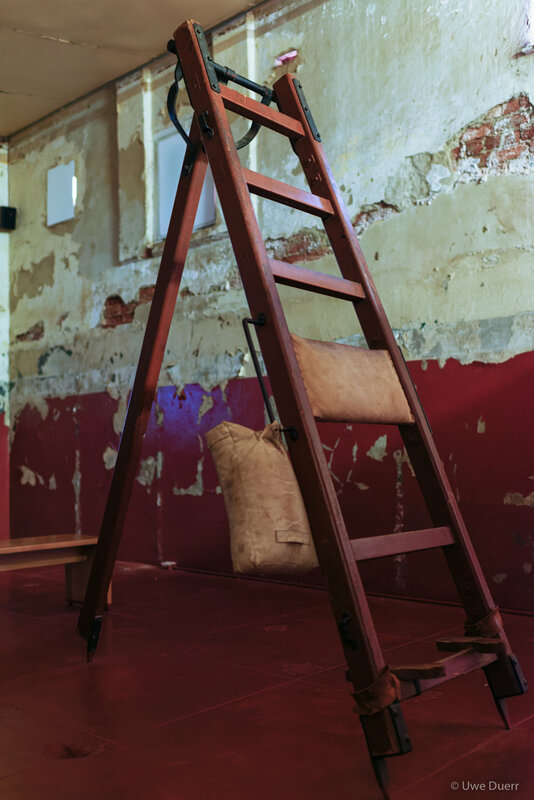 Most women were here of criminal offences, but some sentenced political prisoners were also kept in these cells. The war dresses would use long-term sentenced prisoners to keep order in the cell. These cell bosses would use their power to extract favours from other prisoners. The long-term prisoners worked in the laundry. But mostly, the wardresses forced the women to do mindless, repetitive and physical demanding tasks as a way of keeping them busy. The women were given brushed and expected to scrub and shine the floors, working long hours on their unprotected knees. Huge cement tubs stood on one side of this courtyard. 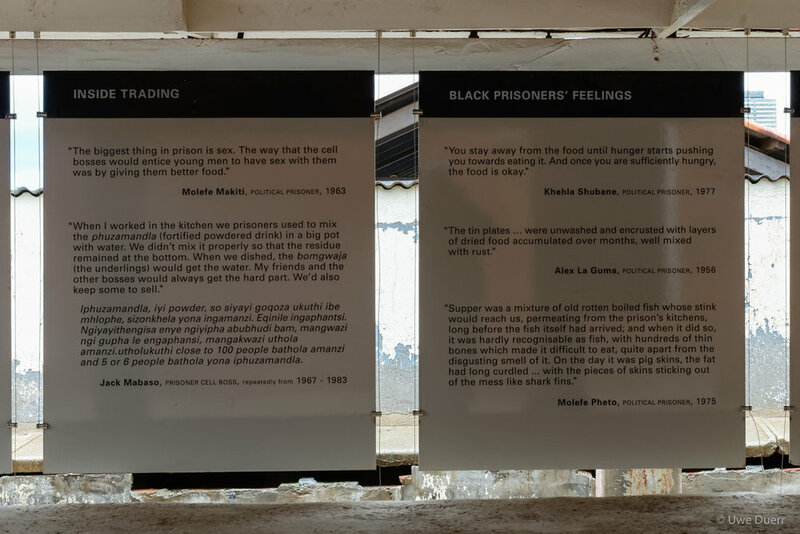 From Monday to Wednesdays, sentenced black prisoners washed all the clothes of the prisoners in the male and female section of the Jail. They would stir the clothes in the tubs with a stock and they sometimes even got in. There were separate basins and an ironing room for the laundry of the wardresses and private individuals who paid a basic fee per item. 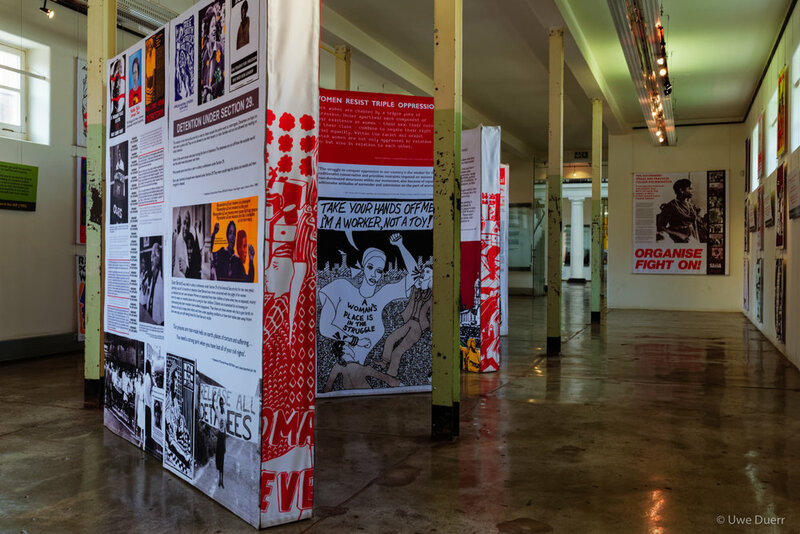 The women prisoners were meant to be paid for their labor but, in reality, seldom were. 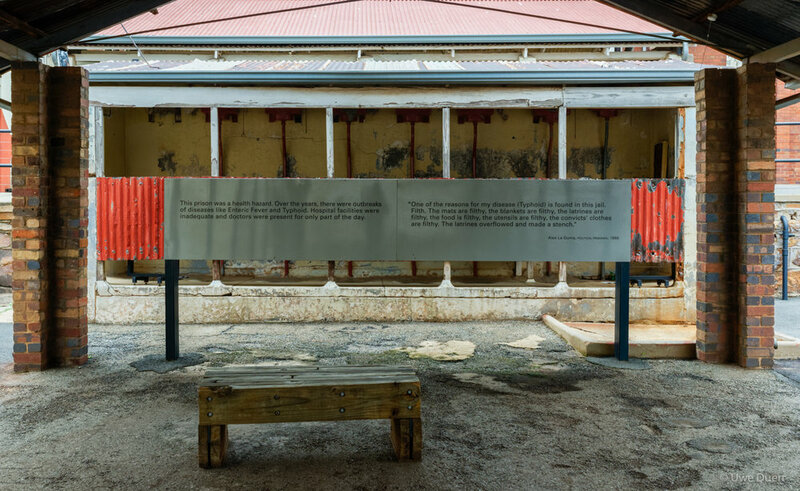 Once a year, the prisoners´ blankets would be washed here in a special row of thoughts set up in the courtyard. Some of the prisoners - who did not have showers in their section - would wash in tubs in this yard. 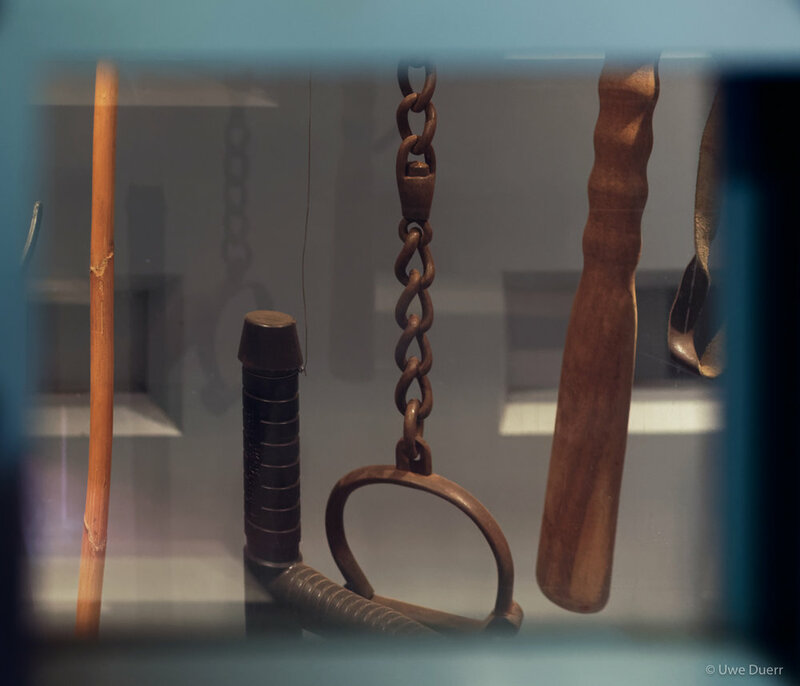 The yard was also a place of punishment. 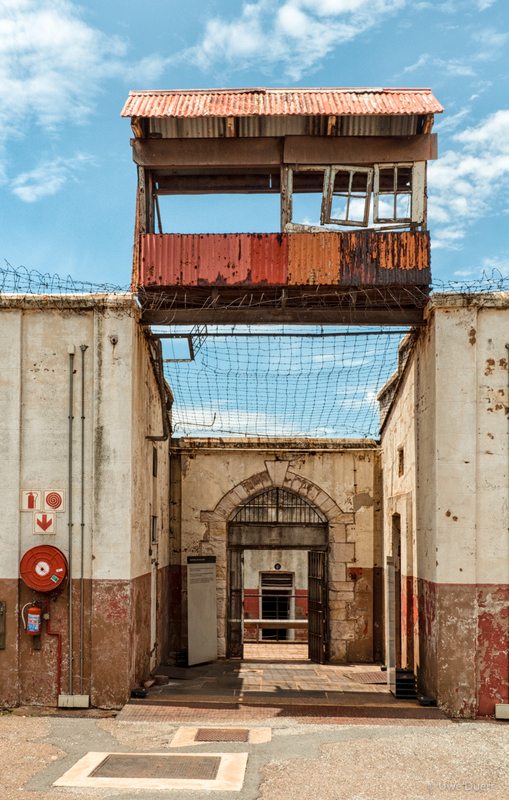 Prisoners were forced to frog jump or scrap the concrete on their bare knees. "We would be asked to undress and they would inspect us everywhere. Then a whole group of five to ten of us, like cattle, would be shoved under the round showered. The water was freezing cold. We showered here with a very small piece of blue soap, with twenty or more other prisoners watching. It was very embarrassing." A wall once divided this courtyard in two. Awaiting-trial prisoners were held in the section closest to the administration block. Sentenced prisoners were held on the other side of the wall. View from the Visitor Centre.